How Your Self Storage Business Can Benefit From The Powers Of PPC? Your local self storage business is surely different from established businesses when it comes to target market, geographical targeting and prices. That makes the investment in customer acquisition a critical aspect and a good ROI is definitely expected to sustain the business. When we speak about customer acquisition specifically for self storage business, it is greatly impacted by the omnipresent internet and the increased presence of your customer over different channels looking for self storage facility and services like yours. Today, with the increase in the smartphone usage for researching self storage options in customer’s locality, it is imperative that your local self storage business is present when the user is researching and finalizing his service provider. 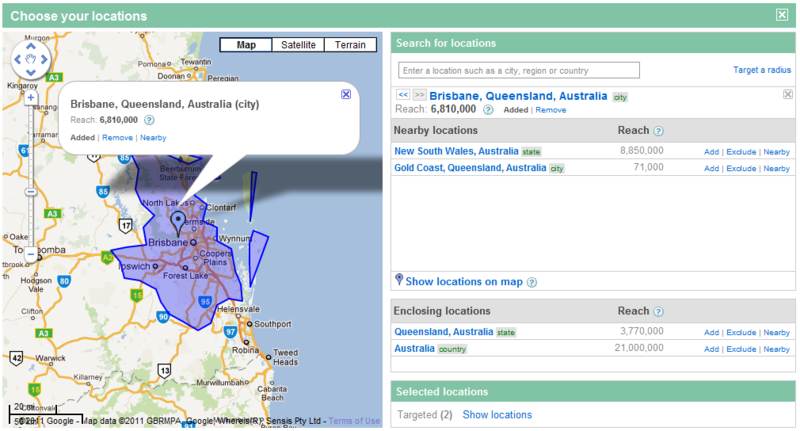 This is where local PPC comes of help! Local PPC or pay per click marketing, provides you with ample of features to specifically target the customers looking for self storage facility and services. It not only allows you to deliver customizable messaging to your customer, but it also helps you to fine tune your targeting at very specific geographic and demographic level suitable to your local business. When it comes to self storage business marketing, it is important that you choose the right channel to do that. Local PPC prominently consists of search engine marketing channels such as Google, Bing and social media channels such as Facebook which provide great features. Above table gives you a glimpse of how frequently customers are using Google to research the self storage facility options available locally. This indicates that if you wish to be target these search savvy customers, you need to implement PPC and specifically search engine marketing using Google Adwords, the platform used for launching and managing the paid search campaigns. In addition to Google, Facebook also has proven to be an effective channel when you want to ensure brand visibility across the audience relevant to self storage business. As per this study, 93% of marketers use Facebook advertising regularly, which translates to about 3 million businesses that use Facebook to market their business. Facebook, just as Google, provides features which are pretty useful for local businesses and without doubt for self storage business. Facebook allows you to create brand profile for your self storage business and helps reach your brand to self storage facility seekers by showing your content and ads to most relevant audience on Facebook. We can’t stress enough on how people use mobile for using Facebook frequently. It helps your brand to be present on your customer’s timeline when he scrolls his / her Facebook on his mobile. Now that we know which channels are useful, let’s look at what specific features these local PPC channels provide, which can be leveraged for growing your self storage business. PPC for marketing and customer acquisition helps self storage businesses by enabling them to target highly specific audience and as much as in terms of certain km radius around your business location, which helps to target audience present only in the city or local area you serve and hence focusing the marketing where it should be. For example, if your self storage facility serves in Brisbane and nearby area, you can select Brisbane city and certain miles of radius around it and ensure you only target customers within that radius around Brisbane. Geographical targeting options from targeting a city to location to even a specific pin code helps your business to be present in the search results of the local audience and not anywhere outside it. Both Google search ads and Facebook ads have this provision to geo-target at a very granular level, which helps your self storage business to serve to the customers in your locality. Local PPC does not have minimum budget constraint, meaning that your campaigns will start running with budget you allocate which gives you flexibility to adjust the spends on marketing to the extent you want. Also did you know that you only pay for advertisements on Google search engine only when a user clicks on your ad? Yes, and you decide the max amount you want to pay for that click. This is a great ad placement buying option for local self storage businesses who have comparatively lesser budgets than big companies. When it comes to Facebook it lets you decide the objective of campaign such as branding and gives you bidding option based on that, which are not restrictive in nature at all and give you freedom to choose how you wish to spend your budget. While neither of the channels have minimum budget restriction, it is a good idea to start with a test budget and adjust accordingly. If you are running SEO already or otherwise, you should know that it takes certain time and investment for your website to rank in the top search results on Google search result page and which requires long term engagement and efforts on your behalf. On the other side, with proper optimization, paid search channels will start showing your ads as soon as you have launched the campaigns and immediately in most cases. Rest assured that it won’t take as much time as SEO and you are ahead of your competitors in terms of time. Same goes in case of social channels of marketing, such as Facebook. So next time you have a special offer running and you want the customers to know right now, think of PPC! Traditionally most of the enquiries for local business services would come via phone calls. Local ppc search ads supercharge the same medium and ensure that your contact number is shown to the users searching for services like yours. Not only that, it allows the users to land on your website and make calls via your website, as well as fill enquiry forms without having to spend too much time. This ensures your small business leaves no opportunity untapped to generate business enquiries. Facebook allows you different options for different marketing objectives. Do you wish the users visit your website? Or fill an enquiry form? Or subscribe to your newsletter? Consider it done. Now that we know what is local PPC, what are channels available under it and what features do they provide to boost enquiries for your local business, here is an added advantage that goes unseen. When you are a local business it is as much important to develop your brand presence in the location of your service as it is for any big brand. However local and limited your reach could be, it is important that next time a customer wishes to avail services like yours, your brand remains on top of his mind. Local PPC channels help you do just that! When local customers see your ads, click on it and visit your website, you make them aware of your brand, exact location, open hours, services, special promotion and lot more information around your business. This helps customer to really get to know your business and remember it as well. Such customers, who may or may not avail your self storage facility in the first visit, can sure be retargeted with remarketing option provided by PPC channels and help make them convert next time. The online presence of your local self storage business, gives you opportunity to enhance your brand awareness and an edge over your competitors who are not present online. The online customers who click on your ad visit and your website can be followed for service enquiries in future. For those who click on your ad and visit your website and convert, they can be remarketed with special offers and help improve customer relationship with them. Local PPC channels thus, proves to be an effective channel in this way as well. Just to understand how it is done, let’s take example of Daniel’s self storage facility services. As Daniel’s self storage facility is in Melbourne city, he uses geographical targeting that is Melbourne and 25 miles around Melbourne. This helps him to assist the customers only within practical range of distance and which can be reached as soon as possible. Also this allows Daniel to not waste marketing dollars on customers in locations other than Melbourne. Daniel also makes sure he mentions in his ad copy about self storage unit sizes available, amenities like climate control and special discounts if availed packing and moving services. Daniel doesn’t forget to use call extension, with his contact number which users can call on to enquire about the services. Daniel also uses day parting option in PPC, allowing him to show ads only during open hours, so he doesn’t receive calls beyond them and saves money which otherwise would be spent on ad clicks after closing the shop. For any local self storage business, it is critical that every penny of its investment in marketing returns best results. Given the versatility and options of customization by local PPC channels and ever rising usage of these channels by local customers to research self storage facility options, rest assured that it will add to the enquiries for your services and eventually boost your profits.